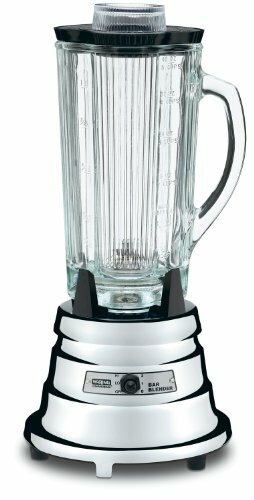 Looking for a blender with a glass pitcher? You're in luck. 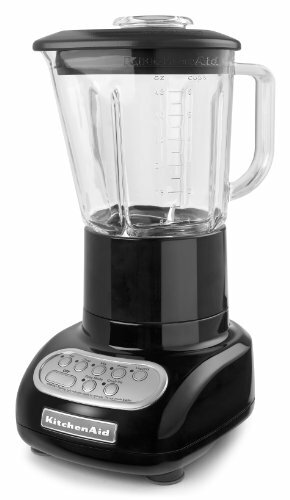 We've listed out 9 of the best options you can find when it comes to glass jar blenders. This powerful blender allows users to enjoy a strong blender that will rival any one in a restaurant. Thanks to the one-touch programs, as well as the 5 speed controls, you will be able to easily and quickly blend anything and enjoy the perfect consistency. The glass jar ensures that you don't have any odors that linger and is incredibly easy to clean so that you don't spend all of your time trying to scrub it out. Unlike other blenders that will sometimes move so much that the lid comes loose, this KitchenAid is specifically designed so that the lid doesn't wiggle free, no matter how much liquid or how many hard vegetables you are trying to blend. You can rely on the durable seal to keep all liquids contained in the blender, and you won't have to worry about the strength and durability of your blades. 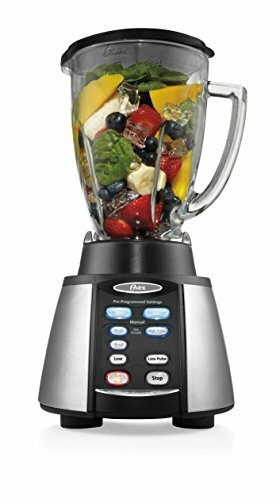 This blender is great if you want to be able to blend very smooth smoothies or purees and don’t want to have to worry about there being a chunk in the final product. It’s not only easy to use and to clean, but it operates at the touch of a button, which allows you to use it quickly without having to worry about preparing it for use. Additionally, the rubber coating on the power drive helps to reduce the sound that the blender makes, which is great if you want to enjoy a quieter appliance. 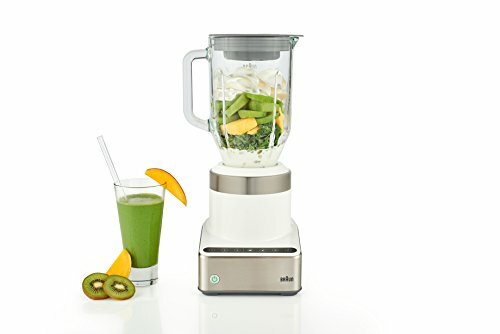 This blender doesn't just boast a strong and durable glass jar, but it also comes with a smoothie cup, as well as a food processor, which ensures that you can easily blend or chop any food that you want without problems. You'll love the 3 preprogrammed settings, as well as the ability to pulse for better control over how well blending your food is when you are all done. 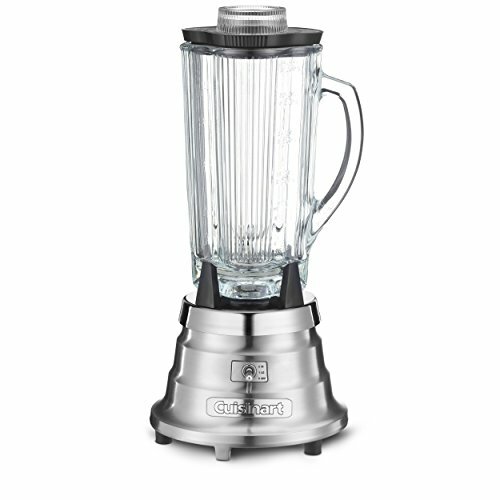 Not only is this blender powerful, but it is also very attractive, and the stainless steel finish is very easy to wipe clean if you have made a mess in the kitchen. Not only is the glass container easy to clean and safe to use, but it is made of tempered glass so that you don’t have to worry about it breaking if you set it down hard on the counter. 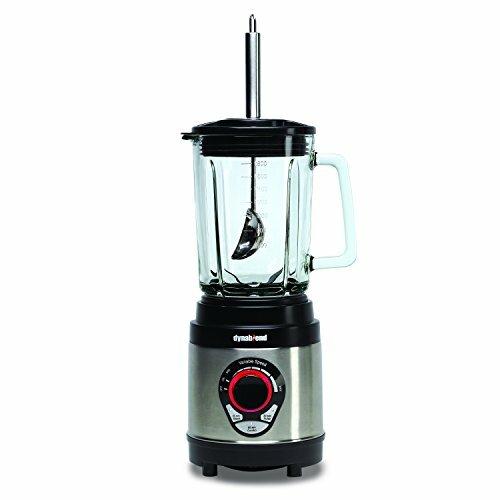 The motor has a max of 23,000 RPMs, which means that you will be able to easily handle any of your hardest blending needs without worrying about whether or not your blender will be able to handle the hard ingredients. Save time, thanks to the preset blending options, as well as the speed dial that is fast and easy to adjust. 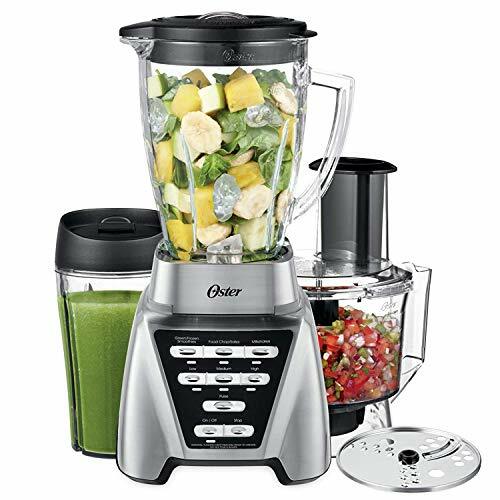 Known as being a very powerful blender that can easily chop ice without problems, this blender from Oster has a glass pitcher with an all metal mountain assembly and blade. This means that, combined with the durable motor, you will have a lot of chopping and blending power when you opt for this blender. Thanks to the control panel, you will find that you can easily control your blender and make adjustments until you learn how to make this blender meet your needs. The 6-point blade can move in reverse if you have a jam to make sure that the food is cleared. The glass carafe has markings on it that are very easy to read and make measuring ingredients fast and easy. Thanks to the fact that the removable parts of this blender are dishwasher safe, you can easily put them in the dishwasher and cut down on the time that you have to spend washing dishes. Additionally, you can choose between high and low blending speeds to adjust your blending, chopping, or pureeing to make a final product that is perfect for you. 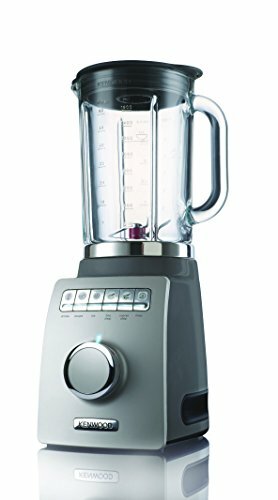 At 9 pounds, this blender is light enough to move easily, but heavy enough that it won’t move around on the counter when it is turned on. Being able to switch between three speeds quickly and easily, thanks to the toggle switch, means that you have perfect control over your blending every time you use this blender. The attractive base is durable and strong, and since it is plated in chrome, you can easily rinse it or wipe it when it gets dirty. The removable cap on the lip makes it easy to add more ingredients to your blender while it is in operation. 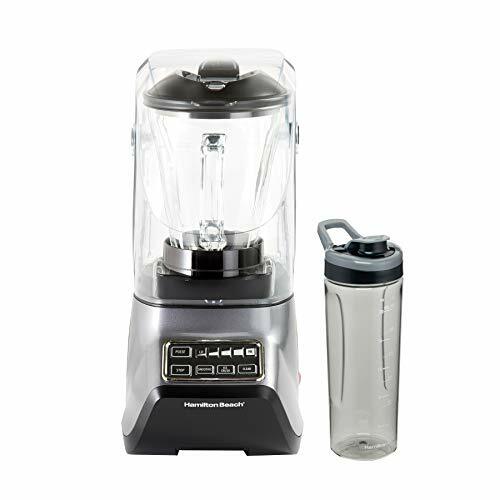 Not only does this blender come with a 5-year manufacturer warranty, but the glass jar has been specifically designed to resist damage from changing temperatures. The stainless steel blades are strong enough to power through anything that you want to blend, and the variable speed, pulse, and preprogrammed settings make blending your food fast and easy. You can quickly fine tune your blending to meet your needs, which means that you don’t ever have expensive mistakes in the kitchen.